Have you been told that you should become less tactical and more strategical? If so, what specifically did they mean? In a recent training workshop conducted by The Mentoring Group, almost all the high-potential, high-performing mentees selected as their top development goal: To become more strategic. 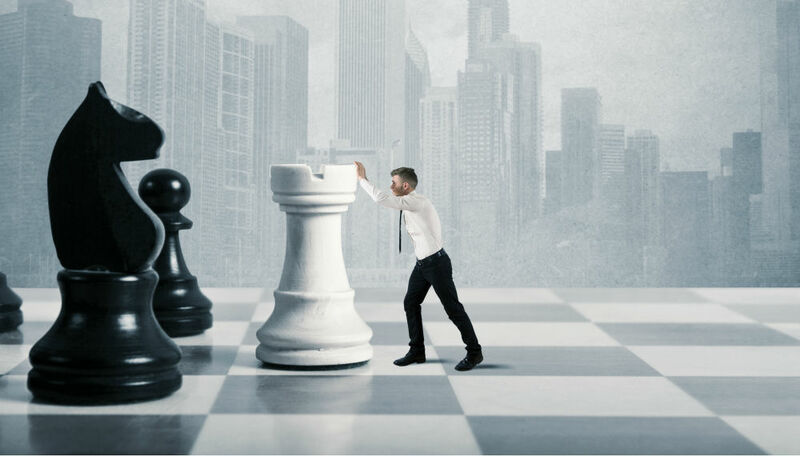 Strategic versus Tactical: What's the Difference? In a nutshell, strategic refers to the "what and why" and tactical refers to the "how." Strategy thinking, planning, and actions reflect the doer's ability to consider the big picture, recognize patterns and trends, honor priorities, anticipate issues, predict outcomes, and have smart alternatives to fall back upon. Issues deal with overriding mission and purpose, why the organization exists, how it makes a difference that others don't or can't make, and where it will be in the future. Tactical refers to the hands-on part of getting the job done, making sure the strategic goals are met. It's performing each implementation task with quality and efficiency. Both are very important. In looking at some of the literature, we've learned an interesting point: Leaders know and use strategy AND they're very aware of their organization's tactics. That doesn't mean they perform these tasks on a regular basis, but they could if they had to, especially with a little learning. At the very least they're aware of what "good tactics" are and able to recognize when others are doing them well. They're often seen as "tactically credible" by their teams. Just as important, they're able to show their team members how their tactical work makes the overriding strategy possible. How strategic and tactical are you? How are you balancing these two approaches in your work? Are you buried in details and day-to-day deadlines? Or are you able to see things from a larger, longer perspective? Did you become successful as a technical expert on something? Are you now managing people, programs, or larger projects? If so, it's normal to struggle with making the shift to a more strategic mindset. Have you been accused of "micro-managing" projects, controlling every decision? Or are you able to overlook small issues in favor of the larger picture? Do you know which are large and small issues? How to be a good mentee? Tips to improve your qualities and characteristics. Interview your mentor about the topic of strategy vs tactics. How does he/she see the differences? Can he/she tell a story about when one or the other approach worked well? Didn't work well? Ask your mentor to help you develop in this area. Propose some objectives and learning activities. Ask your mentor to be frank about your efforts to be strategic. Where does your mentor see strengths and weaknesses in you? Do a self-analysis of how you approached your last two big projects or decisions. Where did you get bogged down in tactics? Why did you do this? How could you have improved? What might you do next time in a similar project? Research the literature on leadership and strategy. Present your findings to your mentor (and perhaps to the other mentees) about what major thinkers and leaders are saying and doing. Shadow someone with a reputation for being strategic. This could be your mentor or someone he/she recommends. Try to participate in a situation that allows you to observe this person "being strategic." Interview him/her before the event to understand the thought process, alternatives considered, and the game plan for the situation. Watch and listen carefully to what he/she says and does in the situation. Afterwards, debrief what was going on. Your goal: to get inside the person's head and learn to think like a strategically-minded person. Talk with your manager about this topic. What does she/he believe to be true about your approaches? Discuss how you could further develop.